MultiBrief: How will Supreme Court ruling on Trump’s travel ban impact tourism? How will Supreme Court ruling on Trump’s travel ban impact tourism? The U.S. Supreme Court decided unanimously on June 26 to green-light parts of President Donald J. Trump's ban on travelers from six majority-Muslim nations. The executive order prevents people from Iran, Libya, Somalia, Sudan, Syria and Yemen from arriving stateside for 90 days — unless they have a "bona fide relationship with a person or entity in the United States," according to the unsigned 9-0 opinion. "As President," Trump said in a statement, "I cannot allow people into our country who want to do us harm." But what are the business impacts of this decision for the travel and tourism industry? Legal and political uncertainty is no friend of business, which prefers stability. "As the Supreme Court considers the legal merits of the President Trump's executive orders on immigration, we continue to urge the administration to draw a brighter line between its efforts to bolster national security and its desire to continue attracting valuable international business and leisure travelers," U.S. Travel Association Executive Vice President Jonathan Grella said in a news release. Trump's initial travel ban via an executive order was blocked by appellate courts in January. His administration then presented a second executive order in March, but it was also blocked by the courts. While the Supreme Court just allowed a portion of the ban, the justices plan to give their complete ruling on it in October. The new legal interpretation of the ban could come into force within 72 hours as lawyers interpret what exactly constitutes a "bona fide relationship." For example, according to the Supreme Court opinion, individuals from the six Muslim nations who are enrolled in higher education or have an American employer enjoy a bona fide relationship. "We have heard senior administration members say America is 'open for business' and 'open to the millions of international visitors who wish us well,'" Grella said, "but they should be doing as much as possible to make sure there is widespread awareness of that sentiment abroad. An overt message of welcome that accompanies tough talk aimed at terrorists and visa overstayers would do a lot to sustain and grow the immense economic benefit that comes from international travel to the U.S."
The American travel industry generates $2.3 trillion in economic output (comparable to the size of the California economy) and backs more than 15 million jobs, according to Grella's organization. The American Hotel & Lodging Association represent a range of interests in the hotel industry, from major chains to independent hotels, management companies and bed and breakfasts inns. The AHLA deferred requests for comments to the U.S. Travel Association. Michael W. McCormick is the executive director and operations officer of the Global Business Travel Association (GBTA), a trade group based in the Washington, D.C. area, with 9,000-plus members. 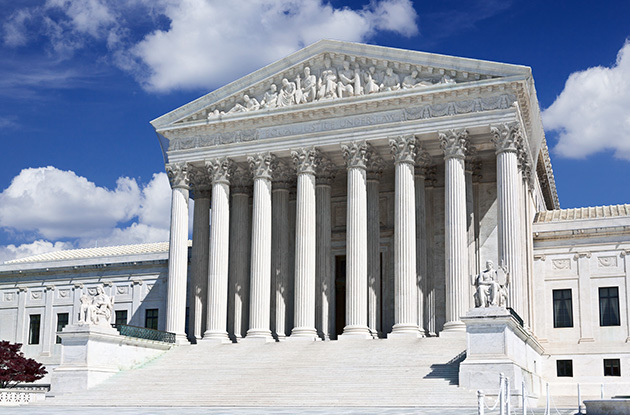 "The Supreme Court's partial reinstatement of the travel ban on Monday renews concerns about both the impact of geopolitical uncertainty on our economy and the perception that the United States is closed for business," McCormick said. "In the week following President Trump's initial travel ban, approximately $185 million in business travel bookings were lost as the uncertainty surrounding travel in general had a rippling effect on traveler confidence. "We eagerly await the Supreme Court's final ruling in October and respect the difficult decisions they face ahead. As always, we continue to encourage business travel as global business travel spend topped $1.3 trillion in 2016 and is projected to reach $1.6 trillion by 2020."